There are Storm Troopers, Jedi, and tons of blasters. But the latest Star Wars game also has whirlwinds of leaves blowing through the city streets on Naboo and they are mesmerizing. After playing the game’s open beta for several hours last night, the floating foliage is what’s still on my mind a day later. Not because the matches were boring or the game felt like a slightly less theatrical shooter than its predecessor. The guns handle well enough and the level available was appropriately chaotic without feeling overwhelming. The beta lets you take either the side of the Republic or the Trade Federation’s droid army as both battle for control of the capital city on Episode 1's planet of Naboo. There are unique classes and customizable loadouts, and if you collect enough points through killing other players, you can even spawn back onto the battlefield as a Jedi or Sith. 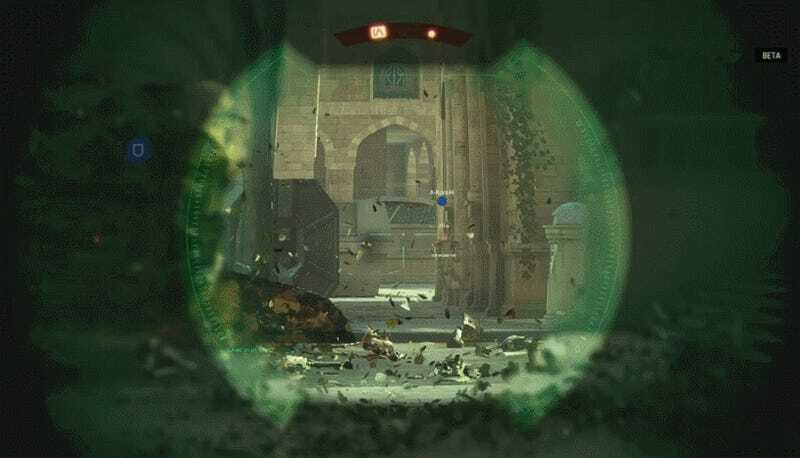 Theed, the city where the battle takes place, is also full of leaves. It’s a visual effect that some players have scoffed at, but one that makes the level feel so much more alive than it otherwise would. 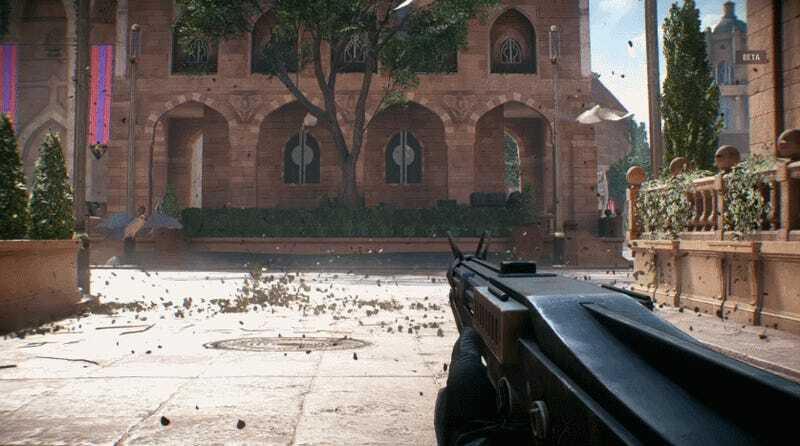 Outside of a broad, central boulevard, Theed is broken up into a series of indoor arcades and small courtyards connected by winding corridors. As a result, it’s easy to get caught wandering far from the main objectives. The shooting is quieter in these areas, and from them you can peer out into other parts of the capital city. Toward one end there’s a paved waterfront littered with gazebos while at the other are the palace walls overlooking tightly knit back alleys. All of them are brought to life by environmental details that make the space feel more dynamic despite not actually interacting with anything. Giant Trade Federation ships glide overhead bathe the trees and city streets in voluminous shadows while flocks of pearly white pigeons do their best to obscure enemies in the distance. There are even cafe tables with the silverware still laid out, as if the city’s cosmopolitan residents had been caught completely by surprise when the first massive MTTs starting rolling through. And then there are the piles of leaves strewn about the city in hidden piles, rising up on imaginary breezes in wonderfulness generated formations that repeat at intervals somewhere between a quarter of a minute and thirty seconds. Some of them are a lifeless green, others are a dry yellow-tinted orange, and on occasion a few even appear to be caught on fire, ignited by the barrage of blaster fire and poorly aimed grenades that puncture what might otherwise be a gorgeous autumn day like any other. It reminded me of The Witcher 3. You wont get that in the original Battlefront 2, an austere game by comparison that was nonetheless effective at capturing the spirit of Star Wars despite its no-frills focus on straightforward shootouts. DICE’s Battlefront is a somewhat different project, closer, in my opinion at least, to the detailed action figures people collect and keep sitting on their mantel unopened than a nuts and bolts shooter from the early aughts re-skinned with the trappings of everyone’s favorite space opera. And while Battlefront II appears from the beta at least to be more of a hedge between the two than the company’s first attempt, I’m glad trying to make each level feel vivid and lived-in has remained a priority. For all my early misgivings about Destiny 2's multiplayer cutting squad sizes from six players down to four, I’ve actually grown accustomed to the more intimate, less bombastic firefights that result. 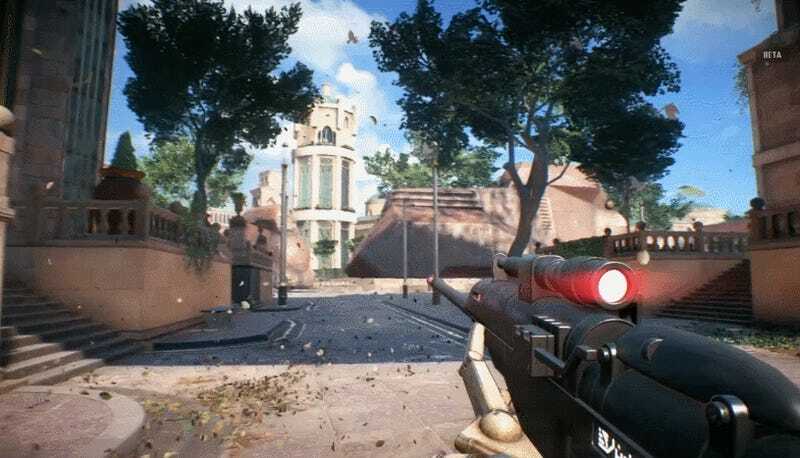 Battlefront II’s battle on Theed achieve’s a similar balance. Rather channeling players through a series of meat grinders, the level feels open-ended. As Clone Trooper you can try to unleash hell on the approaching troop transport in a futile flurry of blaster fire or look for ion cannons nearby that will get the job done quicker, all while trying to rack up points through enemy kills and having allies backs that will eventually unlock fighter ships. You can also wander the back roads far from the main bombardment and try to snipe at the invading forces through little cyclones of leaves and birds. Every once in a while another player might stumble across you and either awkwardly hop-scotch across the screen or, if they’re an enemy, stop and take a second to process the other entity they’ve just stumbled across and perhaps admire the beautiful atmosphere surrounding the encounter before pulling out their sight-less gun and taking their best shot. The multi-player open beta is free and runs through noon eastern on October 9 on Xbox One, PS4, and PC.